It’s that time of year again. You’re ready to bid adieu to your job, coworkers, and friends, and go on holiday. 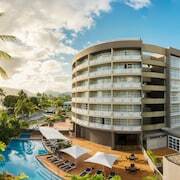 But instead of doing the usual—downing cocktails in a high-rise hotel with a view—gather every member of your family, even the dog, usher them into a moving hotel, and hit the road. Imagine being able to pack and go whenever you please. Sounds pretty good, right? 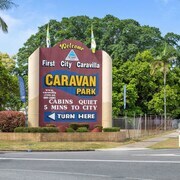 We have the best deals on caravan accommodation in Cairns, and you’d be nuts not to take advantage of one. 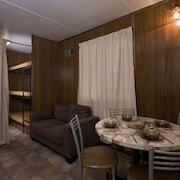 You know what’s great about holidaying in a caravan? 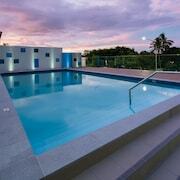 It’s like camping, but without the hassle of pitching a tent or digging a hole for, uh…nevermind. Your giant rolling abode has everything you need: Kitchen, beds, and bathrooms. 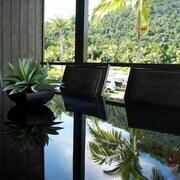 But don’t just cruise around Cairns looking for a lot to park it after dark. 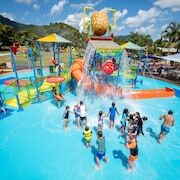 Let us hook you up with budget caravan parks in Cairns and turn your holiday into an epic adventure you’ll remember for the rest of your life. Invite the people on the next lot to the local pub for some drinks, throw some delicious steaks on the barbie and watch the kiddos make some new friends. 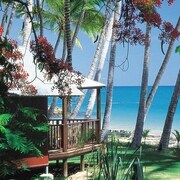 What better way to see the sights of Cairns than from the comfort of your own home on wheels? 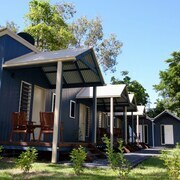 lastminute.com.au has awesome deals on Cairns caravan park accommodation. Don’t wait anymore—grab the keys and go!